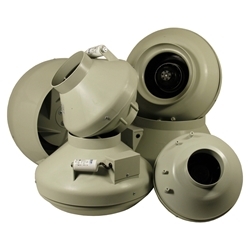 Systemair was founded back in 1974 with their innovative concept of the circular in line duct fan. Their philosophy is simple, ‘the straight way’. With a great reputation, systemair have become best sellers all over the world, allowing for their great success and status. Their products as standard are trouble- free and reliable, ensuring quality ventilation products. Included in their range are fans, air handling units, heating products and more!